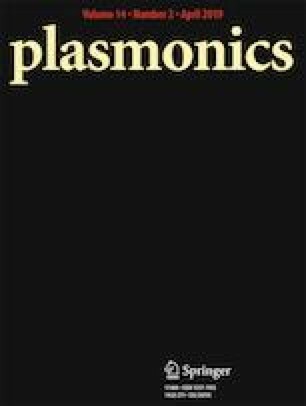 The plasmonic effects due to the coupling of silver spherical nanoparticles with silver nanograting electrodes on active medium of the photo detector are investigated. Calculations show that the coupling of nanoparticles and nanograting electrodes at the surface of active medium lead to reflection wave into the active medium, and electrodes can participate in the absorption and quantum efficiency. Calculations show that the addition of nanograting electrodes to the structure can lead to increase the absorption coefficient up to 120% respect to the plasmonic structure containing only nanoparticles and about 4.5 times that of conventional (metal-semiconductor -metal ) MSM photo detectors.